It’s here folks: the end of flu season! The Associated Press reports that the reported number of people going to the doctor with symptoms of the flu is going down, as are deaths from the flu and pneumonia too. 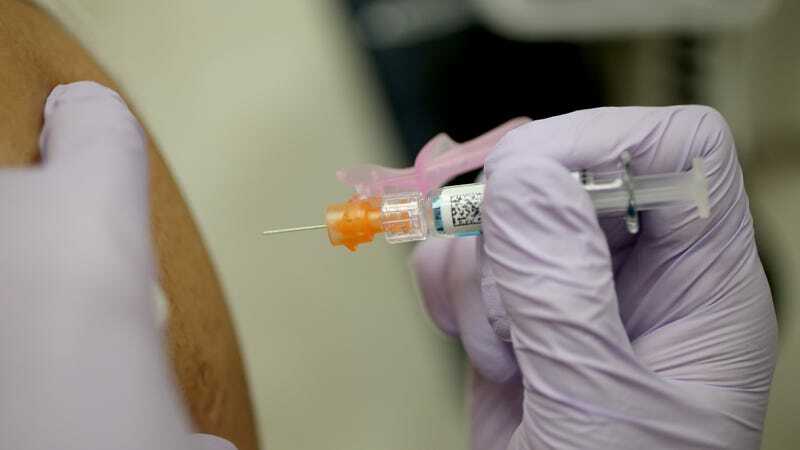 The peak was reportedly in February and prevalence of the flu has been going down since, though the CDC reports the disease is still widespread in 45 states. This was a particularly rough flu season, as the vaccine didn’t work very well. People were also catching a particularly dangerous strain of the flu, one which put a lot more people in the hospital and killed several others. And people always think they can forgo the shot but as this season has shown us, you still really need the damn shot. But now we’re coming out of it. The CDC reported on Friday that doctor visits in the last week for fever, cough, and other flu symptoms dropped to one in 20 visits. So, with this new knowledge, feel comfortable being as disgusting as possible. You want to run your tongue along poles on the subway just for the thrill of it, go ahead! Did you drop a sandwich on the street and are wondering if it’s safe to eat? Are you considering an end to washing your hands all together? Go for it, we’re free baby! Just Checking in Again About Your Flu Shot! This Winter&apos;s Hottest Accessory Better Be a Face Mask! !